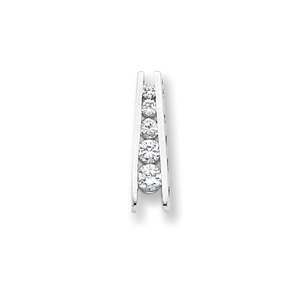 Cubic zirconia journey bar pendant is made of sterling silver. Length: 1 inch. Weight: 1.94 grams. Available while supplies last.